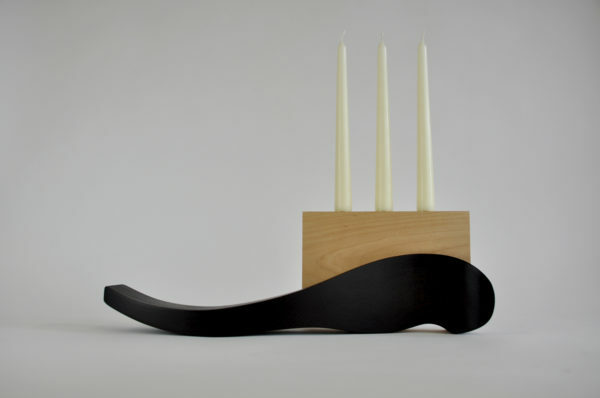 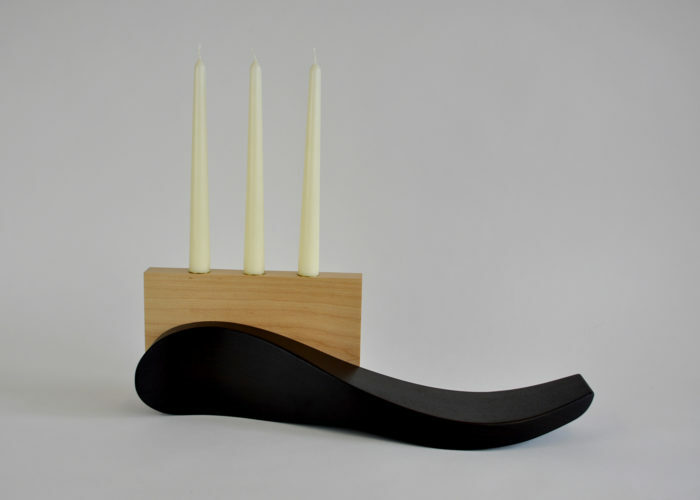 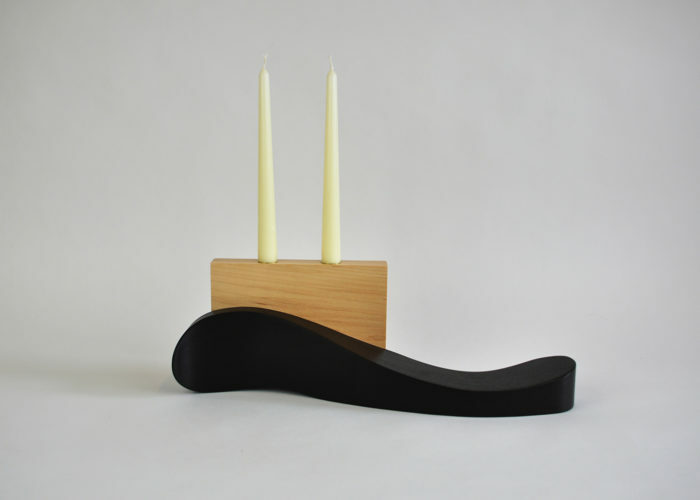 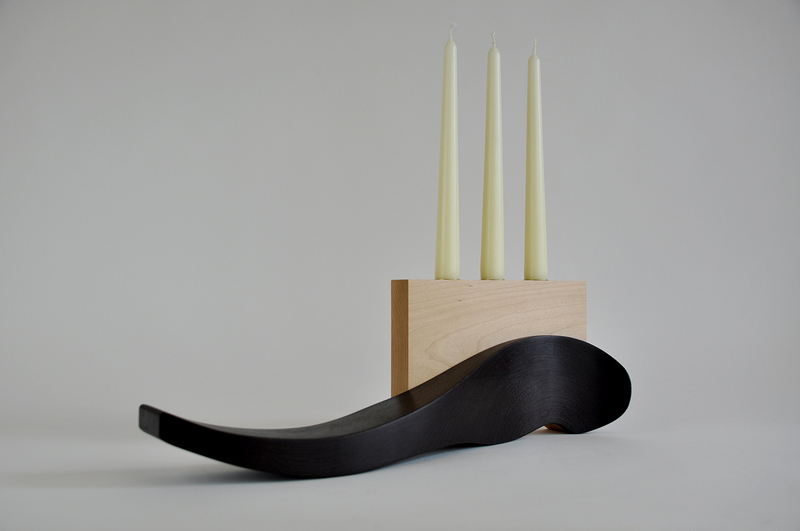 This ‘Ripple’ candleholder is a unique centrepiece for your dining table, handmade from solid wenge and maple timber. 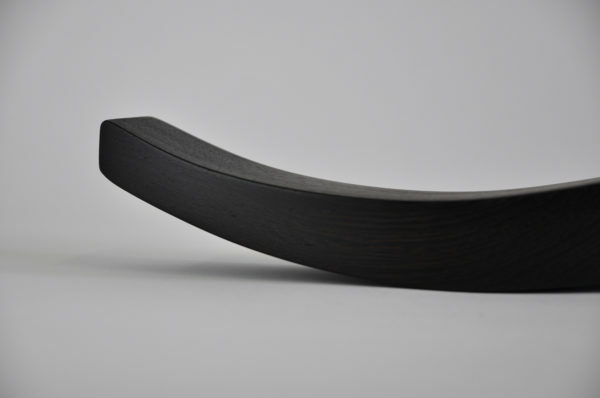 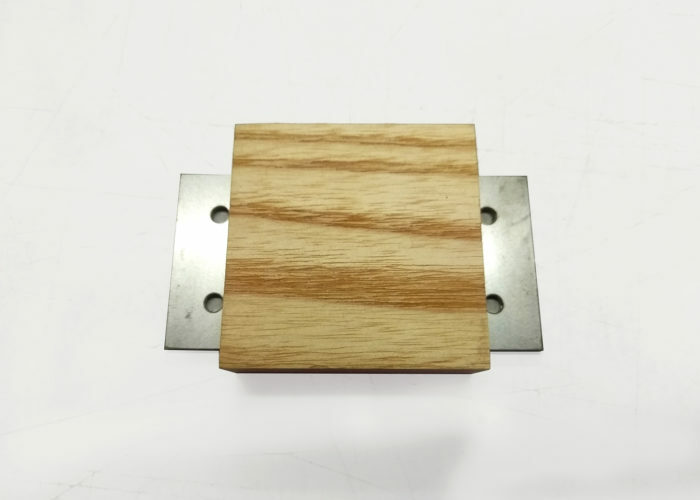 The wood has been sculpted from the raw timber by hand and lovingly sanded to ensure the finished surface is as smooth and tactile as possible. Made as a limited set of four, each one has its own different organic form. 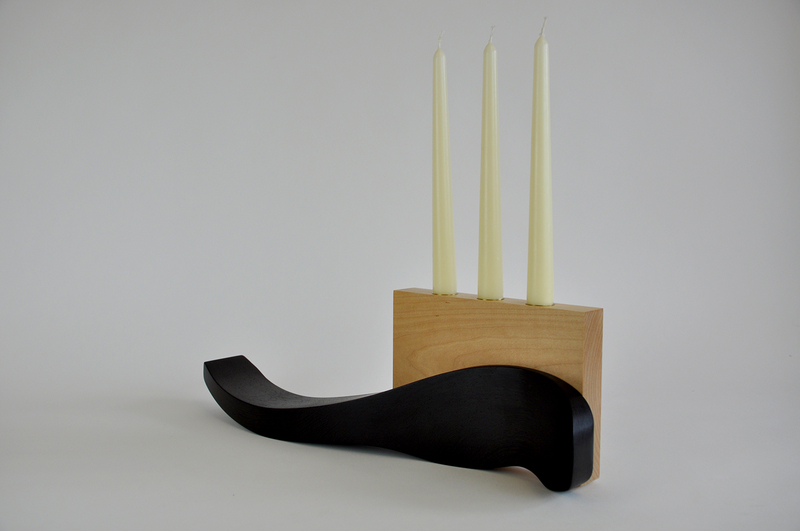 See the Shop for other in the series. 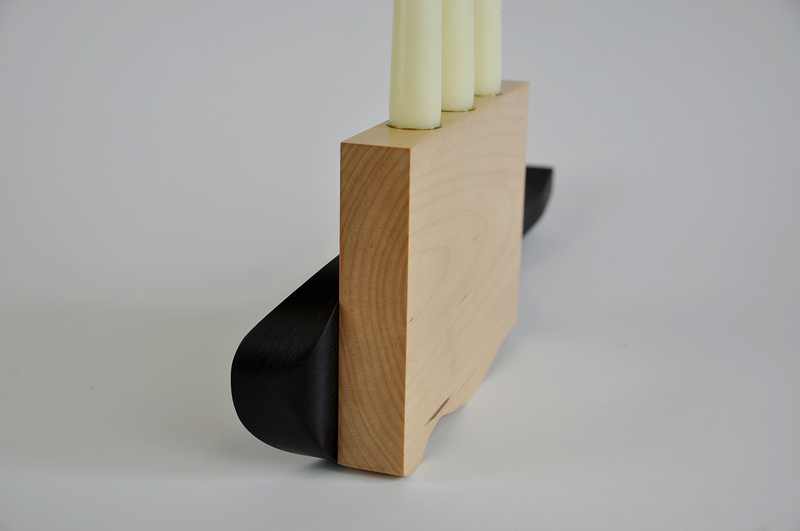 The candleholder takes its design influences from the curves found in traditional cabriole chair legs, coupled with brutalist architecture’s block form – the part that holds the candles. 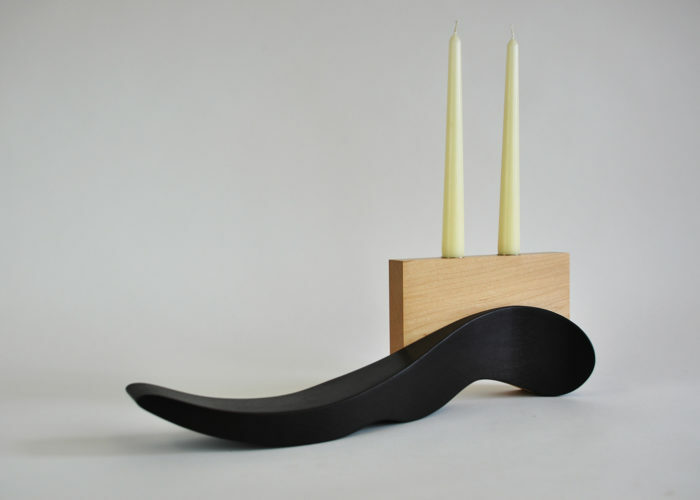 This piece invites touch and will certainly generate conversation around the dinner table.